Keep an eye on things whether you're at home or on the other side of the world. The weatherproof Nest Cam stands watch 24/7, rain or shine. Stream live HD video from your Nest Cam right to your smartphone or tablet. 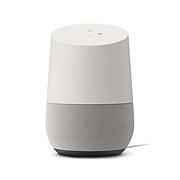 It also includes a built-in microphone and speaker. Speak up to get someone's attention, or tell the mailman to leave the package at the door. Now, your peace of mind is never out of sight. The Nest Outdoor Cam does a tremendous job offering lots of coverage from it's lens. From sound to movement receives a notification if selected to. Great devices and is easy to install. 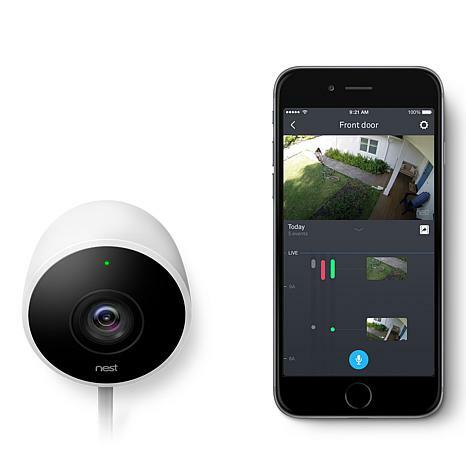 I purchased the Nest Outdoor Camera to cover the front patio and driveway of my residence. I installed it myself, having to drill a hole in an exterior and interior wall to run the power cord to an interior power outlet. It was not difficult to install the camera in a location where I get maximum coverage. I am extremely pleased with the picture quality, both during the day and at night with the night vision capabilities. It is outstanding. I will definitely subscribe to the Aware feature. I've had the Nest Cam for several weeks now and it has been addicting! I love watching what's going on at the front of the house, seeing what cats wander up to the front porch at night, and getting notices as soon as someone drops off packages at my house (walks in front of the camera). It was super easy to install with two screws (included). Picture is very clear and the night vision is great! I have nothing negative to say at all. Exceeded my expectations. This camera exceeded my expectations! It is so great to have peace of mind. It tells you if there is motion by your house or if there is a person detected! The clarity is unreal and night vision is excellent! Nightly recommend this!